The growth and use of Unmanned Aircraft Systems (UAS) continues to create new opportunities for businesses involved in the SATCOM arena, such as Gilat Satellite Networks Ltd.—the firm has just made commercially available their ultra-compact airborne SATCOM terminal for UAS. Tactical, long-endurance UAS are commonly used to gather and send intelligence, surveillance, and reconnaissance (ISR) information to ground stations in real time. 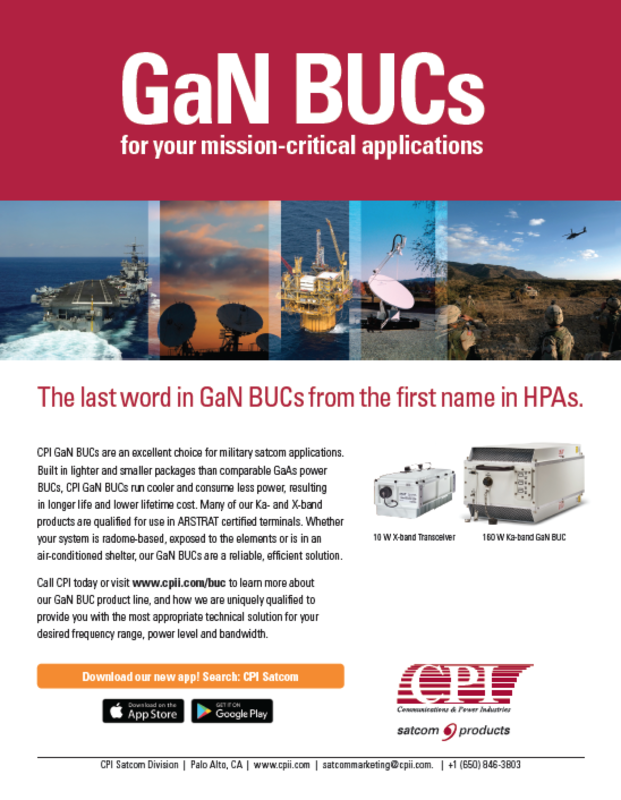 Reliable, high-performance satellite communications are crucial for ensuring uninterrupted broadband connectivity in beyond line-of-sight (BLOS) missions. The newest in Gilat's field-proven family of unmanned aerial terminals—BlackRay 72Ka—combines high performance and throughput with a minimal footprint. Weighing less than 5 kg (11lbs. ), the compact BlackRay 72Ka terminal is an ideal solution for even very small-unmanned aerial vehicles (UAVs). The miniature BlackRay 72Ka is specifically designed to operate with the new generation of Ka-band HTS and supports data speeds of up to 2 Mbps for any IP-based voice, video or data BLoS application. 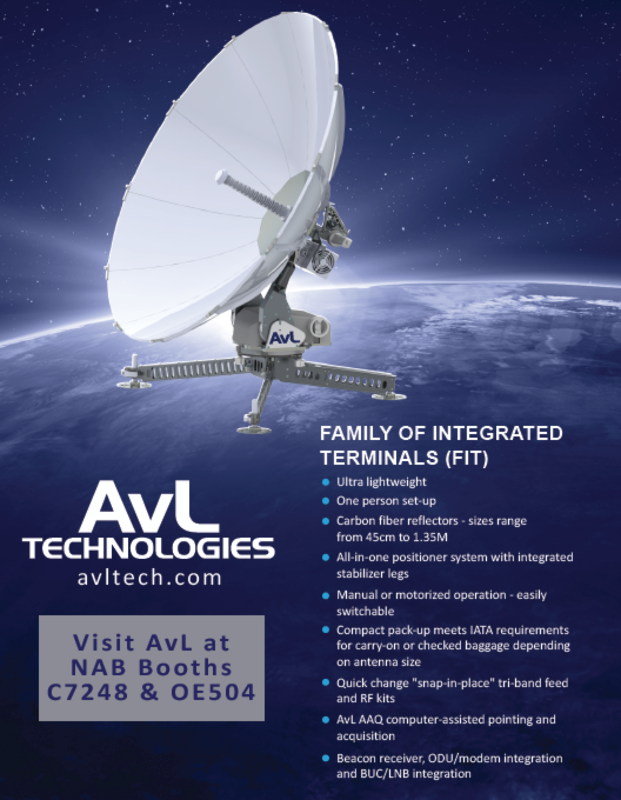 This highly integrated terminal comprises best-of-breed VSAT technologies developed and manufactured by Gilat. 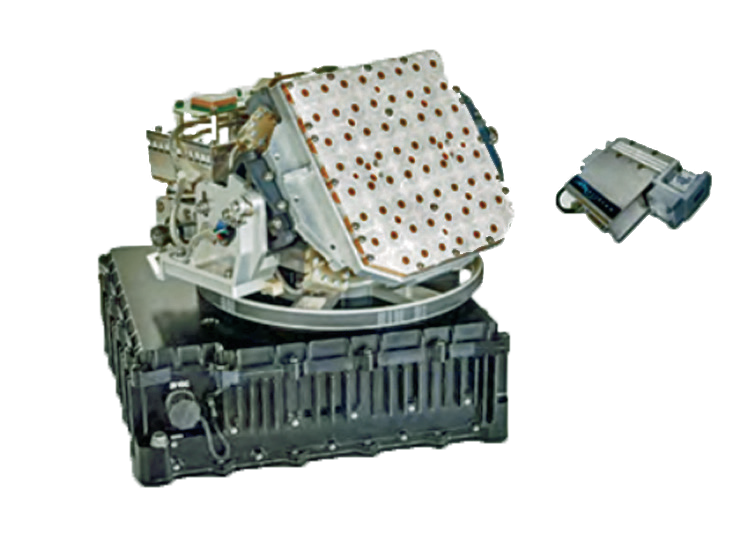 The BlackRay 72Ka terminal provides full-duplex SATCOM, linking the UAS to its ground control station. 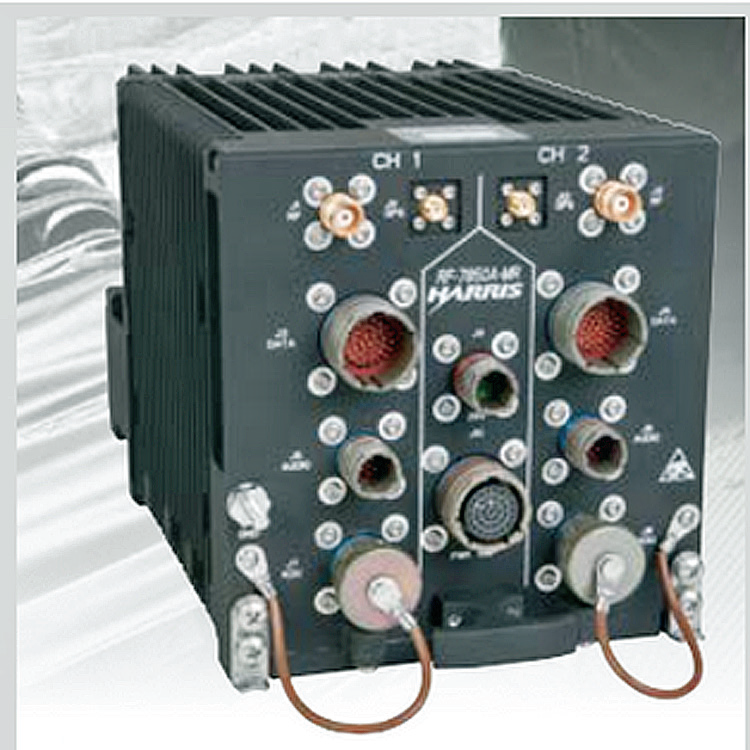 The forward link provides command and control capabilities, while the return link transfers sensor data. This new BlackRay 72Ka terminal addresses the tactical need for reduced size and weight, helping to increase mission effectiveness. The system's tiny dimensions enable BLoS operations for the smallest UAS platforms, with remarkable data speeds needed to support real-time downloads of high resolution images. The Defense and Intelligence Systems Division (DISD: defense.hughes.com/) of Hughes Network Systems, LLC (HUGHES) has reported that they have been awarded a contract by General Atomics Aeronautical Systems, Inc. (GA-ASI). Hughes will work with GA-ASI to provide SATCOM on the “Type-Certifiable” Predator® B (TCPB) Remotely Piloted Aircraft (RPA) system, which provides the basis for the United Kingdom’s Protector program. A variant of the proven multi-mission Predator B, the new SkyGuardiantm aircraft will provide a next-generation capability, integrating enhanced safety and reliability systems that will enable RPA flight within civilian airspace, along with an increased payload capacity that will support a wide variety of mission sets. Working with GA-ASI, Hughes is upgrading the aircraft’s SATCOM system with customized airborne Hughes HM series modems. The advanced modems will enable a significant increase in data transfer rates, employing an enhanced waveform that ensures resilient and secure communications when operating in challenging environments. The new aircraft is designed to be compliant with NATO and UK airworthiness requirements, supporting easy integration into segregated and non-segregated civil airspace operations around the world. The SkyGuardian RPA expects to meet initial European certification standards this year. 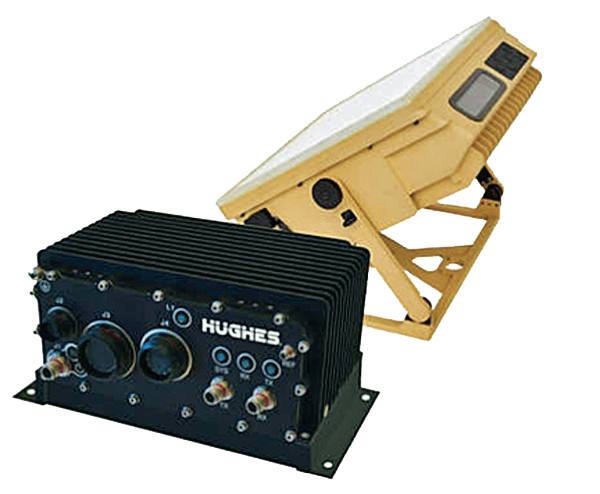 Rick Lober, the Vice President and General Manager of Hughes DISD, stated that with the development and supply of the firm's customized HM series modem, aircraft operators and mission personnel will experience the benefits of protected SATCOM, which includes the flexibility to employ the most appropriate frequencies for Beyond-Line-of-Sight (BLoS) communication. The RF-300H is the market’s only standalone solution for Beyond-Line-Of-Sight (BLOS)communications in the absence of satellite. 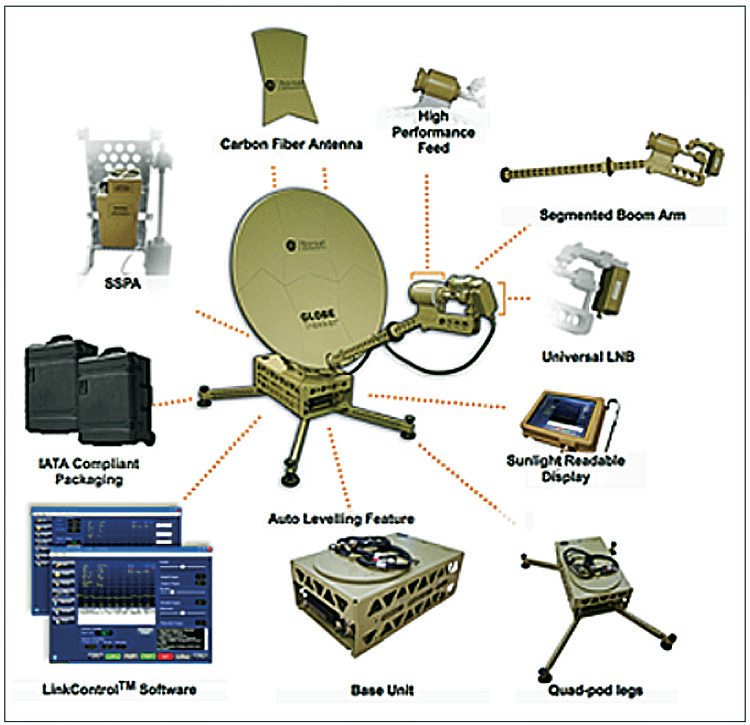 This wideband system is the only HF manpack meeting new NSA crypto-modernization standards. 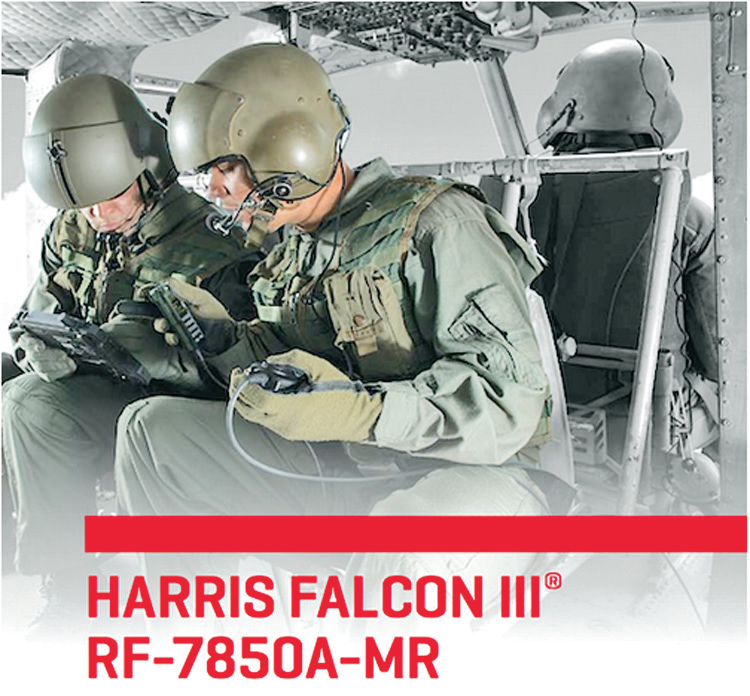 Harris now offers the smallest, lightest and fastest wideband manpack radio that is fully backwards compatible with the Harris Falcon II HF product line, with more than 100,000 radio units deployed worldwide. Harris Corporation revealed the Falcon III® RF-300H ,which dramatically improves HF tactical communications by transmitting high-level security images, maps and other large data files from beyond-line-of-sight environments in a compact, lightweight package. The RF-300H manpack from Harris replaces the US Type 1 AN/PRC-150(C) and delivers data up to 10 times faster in a package that is 20 percent smaller and lighter. 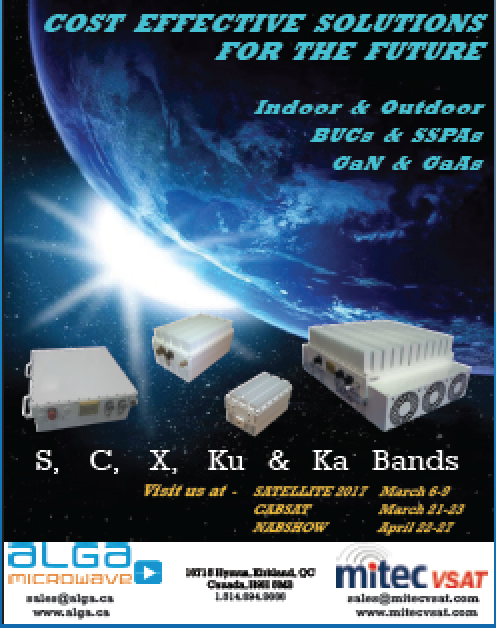 The unit provides a reliable alternative to satellite communications for BLOSvoice and data communications and also features either a commercial GPS or a Selective Availability Anti-Spoofing Module (SAASM). Chris Young, president, Harris Communication Systems stated that the RF-300H delivers an advanced solution for warfighters facing today’s complex environment, and provides more security and enhanced wideband HF than any other radio in the marketplace. At the 2017 International Defence Exhibition and Conference (IDEX) in Abu Dhabi, UAE, Harris Corporation displayed a large assortment of products and integrated systems to help military customers connect with the battlefield. These solutions meet urgent security challenges associated with intelligence, surveillance and reconnaissance (ISR) issues and provide opportunities for modernizing force structures. A complete command and control solution that connects all echelons and provides a common operational view with real-time intelligence. World's first certified airborne two-channel networking radio extends ground tactical capabilities to the aerial tier. Delivers the power and performance of a manpack in a ruggedized, SWaP-friendly handheld radio. System provides superior Combat Net Radio performance and flexibility. Secure group-communications app that enables Push-to-Talk (PTT) and real-time location and presence information. Wide Area Motion Imagery (WAMI) system helps users monitor activity, track movement, and gather critical intelligence over a city-size area. Robot features intuitive control and human-like dexterity - making it easy to complete complex tasks with minimal training time. The Global Military UAV Market will be driven by internal and external security threats, territorial disputes, and modernization initiatives undertaken by armed forces across the world. Significant UAV customers include countries in the North American and Asia Pacific region, and the global UAV market will be dominated by the US throughout the forecast period. Asia Pacific's share of the global UAV market is also projected to increase, largely due to a number of international territorial conflicts and insurgency issues. • HALE UAVs and UCAVs are expected to account for 34 percent and 29 percent of the global military UAV market respectively, followed by MALE UAVs, TUAVs, VTOL-UAVs, and MUAVs, with respective shares of 19 percent, 9 percent, 6 percent and 3 percent. • The Global Military UAV Market 2016-2026 report offers a detailed analysis of the industry, with market size forecasts covering the next ten years and the inluences for military UAVs and key market trends. • Market size and drivers: detailed analysis during 2016-2026, including highlights of the demand drivers and growth stimulators. It also provides a snapshot of the spending and modernization patterns of different regions around the world. • Recent developments and industry challenges: insights into technological developments and a detailed analysis of the changing preferences of military UAV segments around the world. It also provides trends of the changing industry structure and the challenges faced by industry participants. • Details of the key programs in each segment, which are expected to be executed during 2016-2026. • Competitive landscape and strategic insights: analysis of the competitive landscape of the global market. It provides an overview of key players, together with information regarding key alliances, strategic initiatives, and financial analysis. 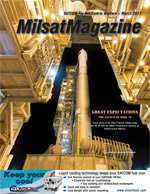 Orbital ATK has been awarded a contract by the US Air Force Space and Missiles Systems Center to provide payload integration and support services for Space Test Program Satellite 6 (STPSat-6). Artistic rendition of the STPSat-6 satellite. The multipurpose satellite will operationally demonstrate advanced communication capabilities, collect space weather data and support nuclear detonation detection in the Earth’s atmosphere or in near space. STPSat-6 is the primary payload on the STP-3 mission which is set to launch no earlier than June 2019. The multiple payloads on board STPSat-6 include the Space and Atmospheric Burst Reporting System (SABRS-3), NASA’s Laser Communication Relay Demonstration (LCRD), and seven experiments from the DOD Space Experiments Review Board. Orbital ATK’s heritage bus and avionics product line is designed to support multiple payloads and can be adapted to support the customer’s desired mission life. Chris Long, the Vice President of National Space Systems at Orbital ATK, noted that this flexible and modular satellite bus platform provides an especially unique opportunity to host multiple instruments from three departments of government on one spacecraft, achieving customer goals at an affordable price.